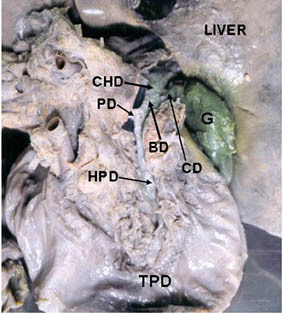 The variation of extrahepatic biliary anatomy is useful for a surgeon during surgeries on gall bladder, duodenum and pancreas. A sound knowledge of the normal anatomy of the extrahepatic biliary tract is thus essential in the prevention of operative injury to it. We present a rare case of hepatopancreatic duct which is unusually long and opening into the third part of duodenum.